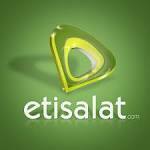 Etisalat Free Browsing Using Tweakware - . ::World for News & Digitals Update::. Hello guys here is another new dimension of Etisalat free unlimited browsing using Remote Tweak on the latest Tweakware v5.8. The developer of Tweakware VPN has discovered a new loophole on Etisalat network and codely ported it on the new tweakware via Remote Tweak in the VPN app. The Etisalat Unlimited Free Browsing via Tweakware Remote Tweak is blazing very well. The connection and Browsing Speed depend on the strength of the network connection in your remote area. This tweak works on Android devices, but PC users can also benefit from it via Share/tethering. >. Click on 'REMOTE TWEAK' to start the installation process. Note: Make sure you have a working internet connection. You can subscribe to any cheap data plan e.g etisalat 10MB of N50 data plan (*229*3*8#) or connect to any wifi or use your existing data. 1MB is just enough. >. After installation is finished, go back to the home screen and select the 'REMOTE TWEAK' option. >. Click on CONNECT to start connecting Tweakware and wait for it to get connected. NOTE: This Remote Tweak is removed if you "force Close" the app or "exit" the app or reboot your phone. In that case, you have to redo the above steps again to get the Remote Settings back. Simply turn ON your phone internet connection and launch your Tweakware App. Now under Bundle list; choose Etisalat 0.0kb and it should connect. After that, go to SETTINGS and Tap on INSTALL REMOTE TWEAK. Then go back to Bundle list again and choose REMOTE TWEAK and connect with any of the servers. NOTE: Each free server available on this Tweakware has 350mb free data limit, to use up to 5GB with free servers, you have to be selecting another free server once you exhaust the one you are using. Many people are also trying to use free servers as you are trying so most times, you will get error message or it won't connect. It's because of traffic and network jam on the free servers. So keep trying until yours connect and continue blazing your free browsing. To enjoy the tweak to the fullest, you need a premium/upgrade account. Upgrading to premium costs only #500 and gives access to all the servers without any daily limit. Enjoy it while it last and don't forget to share this post using the share buttons below.